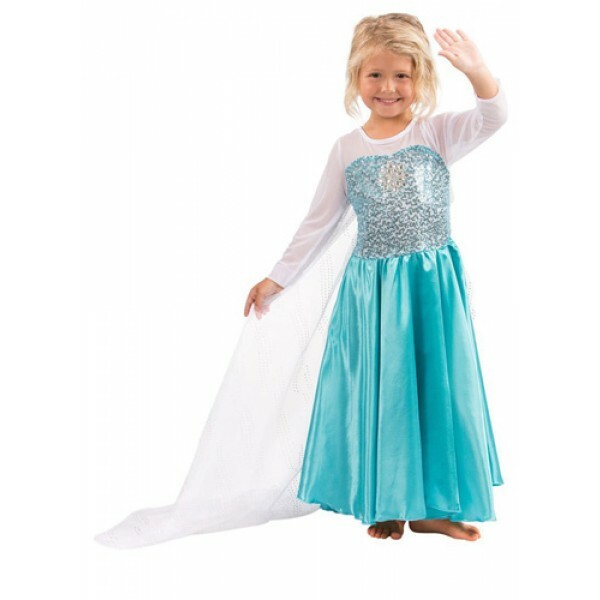 This beautiful dress, inspired by Elsa from Frozen, is sure to be a hit! The dress features ice blue fabric with sequin embellishments and sheer sleeves, both made of comfortable material, and a sequined train. Available in sizing from toddler to adult. 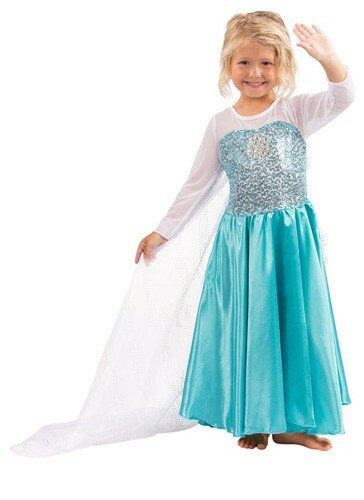 For more products featuring Elsa, visit our Frozen Collection.